No one could have prepared you for the hectic and busy life that is adulthood. After graduating college, you felt as though you had all the free time in the world, and eventually you found a job and started your career, but you still didn’t think you were busy. And if you went one step further in the adult world—got married and had kids, you suddenly realize that your life will remain busy and hectic for years to come. Now this isn’t always a bad thing, but when work and other daily tasks get in the way of spending quality time with your kids, you may questions if having a job is worth it. There are things you can do everyday to spend some time with your kids, and the small things mean a lot to them. But if your children are at the age that you can send them to preschool and head back to work yourself, you will have even less time to spend with your kiddos. 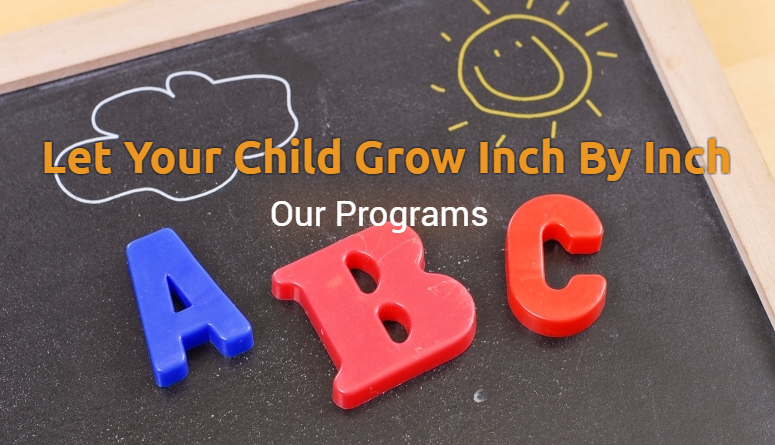 At Inch By Inch Child Care, we understand the importance of family and we make sure that our center is like your child’s second home. 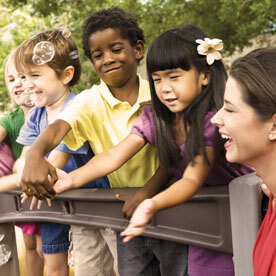 We want your child to feel comfortable and happy in our educational and welcoming environment. You can feel better leaving for work knowing that your child is in a place almost as good as home. That doesn’t mean we are trying to replace your home life! In fact, we want you to spend time with your children and build connections with them during the moment you spend together at home. There are many different things you can do to spend time with your kiddos and create a positive family life. 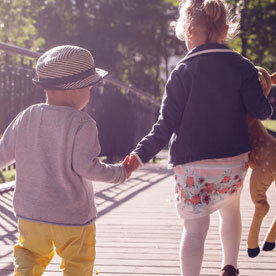 In this blog we will go over a few of the things that you can do to make sure that your relationship with your kids is strong during the moment you have together. We already mentioned how busy being an adult can get. After getting out of work, you have to rush to pick up your children, drive home through rush hour traffic, and get home just to begin cooking dinner without a moment of rest. This makes it hard for you to spend time with your kids. But you could do both at once! If you are making a relatively easy meal, or have a backup frozen pizza, have your kiddos help you cook dinner with you. This is a great way to spend time with them, teach them a little thing or two about cooking, and help them learn how to measure and read directions. This is a great way to spend time with your children, cook dinner, and help them learn something new all at the same time! Who said multitasking was hard? If your children have a bad habit of spilling everything they touch, perhaps just have them sit with you while you cook. Ask them about their day, what they learned, about their friends, and get to know what your toddler is doing in their life. You could even get a little goofy and put on a cooking show for them. They will love watching you act silly and you can still use this as an opportunity to teach them about cooking. If you decide to do takeout or cook that frozen pizza for dinner, maybe spend time after dinner making cookies or brownies with your munchkins. 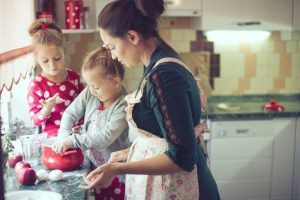 Cooking and baking are great ways to spend quality time with your kids. It is fun and can be something fun that they look forward to after you get home from work. After you get home from work or on a weekend, spend time making something fun with your kids. Tell them that you will hang them up at your desk as work and they will make the art project extra special. You can make just about anything—paint picture, make holiday decorations, or make something out popsicle sticks and cotton balls. This is a great way to spend time together and help your child develop their creativity. 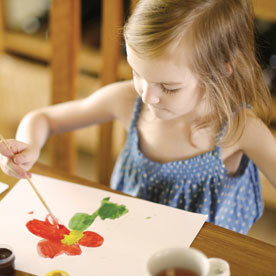 Allowing your child to express themselves through art is great for child development and can help them cognitively. It is also fun to keep their artwork and show them what they created down the road when they are grown up. They will love seeing their old work and will hopefully remember the fun moments you spent creative masterpieces with them. Sitting on the floor and playing with dolls or action figures may not seem like something that is important to your kids, but they will love you getting involved in their playtime. They will love “playing pretend” with you and hearing what you come up with. Sitting on the floor and playing with your kids may not seem like something most parents want to do, but it really makes a difference and can strengthen your bond. Play with legos, or blocks, build a pillow fort and play with your child and their stuffed animals. These moments will mean a lot to your child and they may even bring out your inner child, allowing you to loosen up and have some fun. If you don’t watch movies every night, renting a movie or going to a movie will be special for your kiddos. They will love picking out a movie they have wanted to see and watching it with you. Make popcorn, buy some icecream, get in your pajamas, and bundle up on the couch together. Make it more than just a movie, create something special so your kids are excited. If you rarely go to a movie, take them to a new Disney or Pixar movie that they have wanted to see, you may actually find that you enjoy it as well! 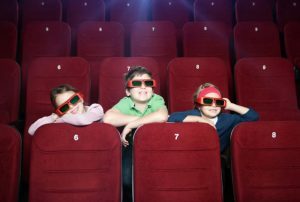 They will love spending time at a movie with you and it will feel like a special treat to them! After the movie, whether you bring them to the theater or rent a movie, ask them what they thought, asking their opinion will make them feel like what they say matters and will allow you to get your kids point of view on the movie. Before you go to bed, make time to read a book to your kids. Let them pick out the book and read it to them in bed. Use character voices, act excited (even though you have read the same book 30 times), and allow them to pick a second one as a special treat. The time you spend in bed reading with them means a lot to them and will actually help them with their reading skills. They will be able to develop their understanding of language better, all thanks to you reading to them at night. There are many different ways to spend quality time with your kids. Even if you are tired from work and had a busy day, these simple little things will mean the world to them. 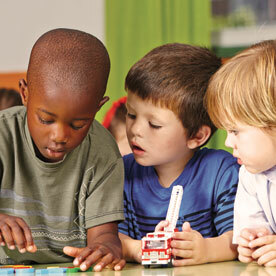 Inch By Inch Child Care knows how to make a child feel at home. Learn more about our center today!